The first time we lived in an area with a cold winter I was at a loss for what to do with all of those hats and mittens. We didn’t have much storage space in our home so I needed a place to keep them that was easily accessible and didn’t take up much space. On a whim, I opened up the coat closet door and there was my solution – a hanging shoe organizer that wasn’t being used for shoes, in fact, it wasn’t being used for anything! I shoved in the hats and gloves into each pocket and it got me thinking…I wonder what other organization hacks I can do with a hanging shoe holder? 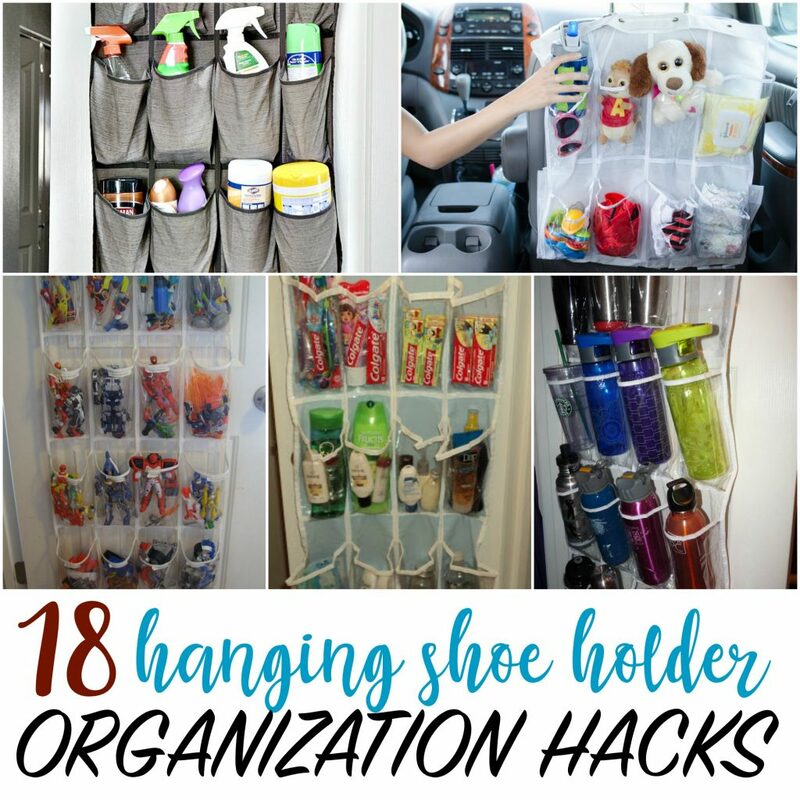 Turns out there are A LOT of organization hacks you can do with a hanging shoe holder! An over the door shoe organizer is the perfect organization hack for small spaces. There are so many items that you can keep in the hanging shoe holders to keep them neat and clutter free. 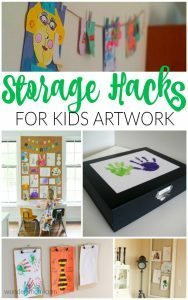 They don’t take up much space and since they hang over a door you can keep them on the insides of your closets – once the door is shut there is no evidence of any clutter at all! You can easily repurpose a hanging shoe organizer to hold all of those small items that you don’t otherwise no what to do with! If you have an even smaller space, you can cut your hanging shoe organizer in half and hang it in places like the bathroom or kitchen cabinets! So, what else can you organize with a hanging shoe holder? Food Storage – Fruits and Veggies! Why didn’t I think of that?! Nursery Storage – Onsies, socks, and cloth diapers – oh my!